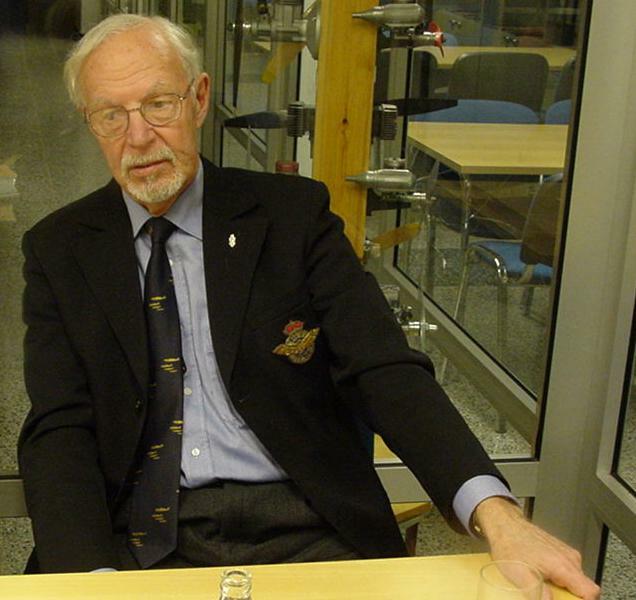 The Finnish veteran pilot Kyösti "Kössi" Karhila was interviewed in the Finnish Aviation Museum Dec8,2001. 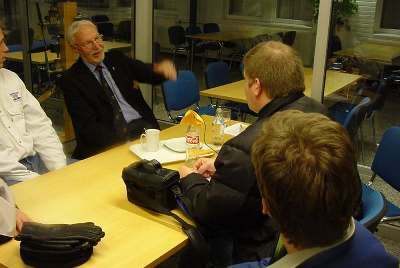 Interviewers: Jukka O. Kauppinen "Grendel", Pentti "Buffalo" Kurkinen, Timo "Kossu" Niiranen and Janne "Netfly" Kallela. Parts 3 and 4: Paavo Kajakoski. Last time we met and you urged Hemmo Leino to test the simulator, you mentioned us about the wife of Gen. Galland. Could we have the whole story now? We were in Germany, in the year 2000 congress for the WWII fighter pilots. In one night we had a very good dinner and then some dancing. It happened that Gen. Wiedler sat in our table, actually we found ourselves in a table for guests of honour, with several high-ranking Germans and one lady. She certainly was, should I say, very interesting-looking. As the General introduced us, we found out she was widowed Mrs. (Adolf) Galland. In the course of the night we fancied some dancing, and Gen. Nikunen was the fastest one of us to bow to Mrs. Galland. Then I asked him how dancing felt like, he told it was very nice. I decided to take courage and go for it. After the piece of music was over and we were sitting at our table, Hemmo Leino began to ponder whether he should go and ask for a dance; I encouraged him to go ahead. But he could not make up his mind. Well, later Hemmo regretted his indecision, but that is what ails old men, their courage is not any more sufficient every time. We shall start about the aerial battles, is there any specially memorable one? Well, when flying a mission it always came in my mind: If surprised, how to survive that, which manouvers to resot to. When flying the Curtiss (A-75) we used to, upon return leg of a mission, to spar against each other in turns, training evasive and offensive maneuvers. From that training I thoroughly learned one special manouver of my own. Later, when flying Messerschmitts, we continued similar training. We were flying as the top cover pair near Lavansaari as Puhakka reported "there they are" and prepared to attack. I told him I would check the airspace for eventual enemies, and did a 360 degree turn, all the while scanning our surroundings, without spotting anything. On the other hand the sun in the South made it difficult to spot eventual enemies. I turned North and as I spotted the enemy planes I decided to go for them. At the very moment I felt as if somebody had tapped on my shoulder, I turned back to check my rear once more. At a distance of 30m I saw a big white prop spinner and tracers flying around me. I think I took some hits. Then I got going. I pushed the stick ahead and to the right and kicked down my right pedal, which resulted in external barrel manouver. I knew that now he could not fire at me, not even keep me in his gunsight. I let go a couple of full turns, which made the loose objects, debris and sand in the cockpit to float freely around. After the third full turn I decided to pull out and see where the Russki is. It was a La-5, I had recognized him by the spinner and round engine. He was now 80m behind, I thought, what now? All the fighter tactics of the air force must have flashed through my mind but I did not recall anything about a situation like this. Anyway, I kept pushing the stick a little with the idea that if he aims just at me, his shells would pass over me. We continued like this for a moment and I was watching the enemy to see what he would do. Well, there he was, hanging behind me, I wondered why he did not try to shoot any more. I decided to pull up and the La followed me, a little to the side. I knew that the more I climb and turn, the more I shall lose speed. I climbed for a while, all the time keeping an eye at the one behind. He did climb to the side from me, and about 300m higher. Having lost speed I returned to level flying and began to pick up speed. There the La was staying, like a spectator, and I was wondering why he did not try to make use of his opportunity. Having gained speed I pulled the nose up at the La and fired a couple of rounds with the cannon. The enemy reacted with an evasive manouver enabling me to cut the distance between us. As soon as he was flying straight, I fired another couple of rounds, he evaded by banking to opposite direction and againg I could cut the distance. Finally I was at a range of 150m, in slight climb as I fired and hit him really good: his fuselage broke into two. The engine of the La kept running for a while until he turned into a vertical dive. I had hit him in the rear fuselage, the cockpit canopy was intact. Very soon the canopy flew off and the pilot bailed out. It was then as my hands and feet began to shake, as I began to think how near my death had been. When I had returned to the base, the mechanic found a bullet hole in the left wing. Examining the trajectory of the bullet with a fishing rod inserted in the hole it was found that the bullet had passed about 10cm above my head. I did have an angel to guard me. The bullet came from the rear sector ? Yes, when I did the evasive manouver... In this phase (describing the manouver with his hands) the bullet came over the fuselage and hit the left wing; possibly the rear armour would not have been there to stop it. What kind of attitude did you have as to the Russian airmen and what do you think their attitude as to you was ? Well, for instance, in Olonez I shot down one Pe-2 with a Curtiss, hitting a fuel valve in the cockpit, and it caught fire. Both airmen, the pilot and the observer, bailed out. The observer's clothing had been fuel-soaked, I believe. He developed smoke while hanging under his parachute and lost his life before hitting ground. Both men landed quite close to each other. 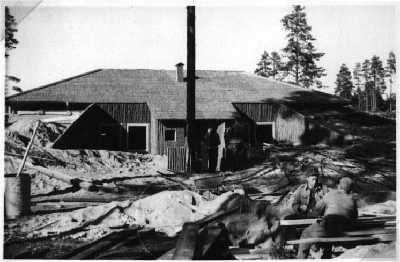 There was a hut nearby where Finnish workers were accommodated, and they managed to capture the pilot. In the night our Commander came to ask me whether I would like to be present as the pilot was questioned. Obviously he wanted to introduce the victorious pilot. Off we went, to Nurmoila in Olonez, in a headquarters building where we were waiting until the Russian pilot was brought in. The interrogator was a Colonel-Lieutenant fluent in Russian, and to begin with he offered a cigarette to the prisoner, who accepted it avidly and managed to calm down. Then the Finnish officer started the interrogation and asked all kinds of questions, and the Russian agreed to tell what he knew. It could be proven that he told the truth. Then he was told: "Here is the pilot who shot you down." The man glanced at me and said that he would have shot down by a schoolboy, no way. The Col.Lt. just stated that the fact is, here is the man who shot you down. I told I would like to have his lapels as a trophy. The Col.Lt. said that the prisoner is not obliged to give them, but he would ask for them. He asked, and immediately the Russian began to remove his lapels. For me it was the main task to destroy the enemy aircraft, not the pilot. Of course the pilot often died in his plane, but that could not be avoided. As far as I know you flew the Fokker D.XXI, then Curtiss A-75, and then Messerschmitt Bf 109G. Did you fly any other types, before and after ? I flew with civilian aircraft, every type during the 27 years that I flew in Finnair. Which was the most pleasant aircraft to fly that you encountered during your long career as pilot ? It was the Viima! It could be used for aerobatics, and I agree with the large number of pilots who said it obeyed your thoughts. I got to fly it after the Smolik, and it was a big step forward. 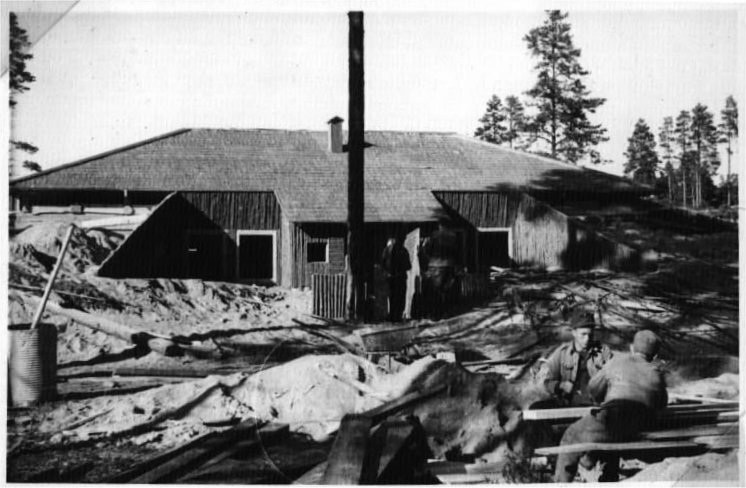 In Joroinen in summer 1939 there was a pilot course organized by the Finnish Air Defence Society and led by an Air Force Captain. The instructors were Air Force men, the mechanics too, and the aircraft. The students were schoolboys. We began with the Smolik. I remember about the Smolik that once, upon returning from an altitude flight I happened to lean against the airscrew, which bent oddly. I took a look, what was that? The airscrew shaft was almost broken off. The plane had to be repaired, and our group was given the Viim It was like a dream after the Smolik, a really good trainer aircraft. Comparing the Curtiss and the Messerschmitt, which one was the more pleasant to fly ? Well, both were pleasant each in their own way. The Curtiss was as if in your control all the time. More speed would have been necessary. The Messerschmitt had speed, she climbed well and was well-armed. That was it. Both types were good aircraft in their age. Which was easier for the pilot? Was there any difference when in battle? Nothing exceptional, everything was ready. It was not necessary to adjust the mixture of the Curtiss in normal situations. What about the use of the MT radiator flaps, did the pilot adjust them ? As far as I know the automatics was of type on/off ? The automatics adjusted them according to the coolant temperature. When manually adjusted they were fully open when on ground and at take-off, because the temperature of the liquids rose tremendously when taxiing. It was better for the engine to keep the temperatures down. When airborne, the automatics was switched on. In Lipfert's book it is told that opening the radiator flaps fully could be used to decelerate the plane in ceratin situations? The width of the radiator was like this (showing with hands, a small space). The flaps were this wide, and the movement was this much (again showing with hands). Think of it, such a small area, it cannot create great resistance. Such a small piece in each wing, I cannot see they could have had great effect. Of course, in an emergency every little thing may help. Another analoguous case is described in Knokke's book, when he was chasing a Spitfire in reconnaissance mission. He manually closed the flaps completely. That is another matter. He had time. He could decide to close every vent to diminish friction, flying in level flight in high altitude. Yet the radiators create a small flow, you cannot close them completely. But I do not think they are a drag-inducing factor. Some sources claim that the effect on the maximum speed was 50kmh if the flaps were closed manually. I do not believe that. The vent openings were so small, and they could be adjusted but half their travel. They could be opened just a little. Do you remember anything special about the time of the War Pilot Course no.1? Well, the basic training we had received in Joroinen, under the Air Force control, and we signed our obligations to do our compulsory military service in the Air Force. As the Winter War broke out, we were assembled to Kauhav There we started again from zero. We flew our test flights and were allowed to fly solo. We received double basic training which was not a bad thing in my opinion. In Joroinen we flew in summertime and in Kauhava in winter conditions. Were you affected by fear in battle situations and if so, how did you cope with it? At the final months of the war, during the Russian offensive, you knew that every time you take off something is definitely going to happen. One was a little in tension every time. But after takeoff you felt easier, and upon seeing Russkies you felt even more calm. Now you are facing the enemy and that is it. After a tight spot the feeling of fear came afterwards, when the situation was over. You were so experienced that when getting into battle you knew there was no time for bungling? Neither time nor need for any. As you began to score, what were your feelings as the fifth victory had been won and you had attained the status of an ace? Well, I never came to think about it at all (laughing), it was just nothing special in those circumstances. Were the victories recorded and noted in any way ? Was there any schism between reservists and cadres in the Air Force? There were some people who had a negative attitude all the time. But I cannot generalize. For example, as it was suggested that I should be decorated, one (cadre) lieutenant said that that decoration cannot be granted to a reservist, because he had not been granted one yet. Yet he had but one victory and I had some, cannot remember anymore. And there was such insolence when I was on duty flying Curtisses, I was not allowed to fly a mission, instead I was told I am not needed there. I have read a story about your transfer to Luukkanen's squadron. You must have had a reputation, since you were wanted in that outfit. Well, I think I had some 13 victories, and the fact is that no squadron wanted to give their best pilots. The pilots themselves felt they had a chance but the commanders wanted to keep their most experienced pilots. This was the situation I was in, I was not allowed to transfer. Then the Messerschmitts arrived in Utti and there was a need of replacements. I was ferrying one Curtiss from Kuorevesi to Olonez and landed in Utti. I decided to make use of the possibility to say hello to friends. Luukkanen, accompanied by Puhakka happened to come my way. I reported to him and told that I was in transit. Luukkanen held out his hand and wished me welcome "to us". I thought for a while what he meant. "Welcome to visit, I should think", I think I said, "it certainly is nice to meet friends." Luukkanen answered, "no, no, I mean you have been posted in the squadron". "Could you repeat that, Sir?" He confirmed that I had been posted to his squadron on that date and he inquired whether I could stay there at once. I told I had to ferry the plane to the base and get my transfer documents. All Olonez was in "rasputitsa" due to ice melting from the roads and runways and I had to leave the plane in Immol I continued by train to our base in Olonez. There I reported to Lauri Bremer, the Leader of our Curtiss squadron. He was of course informed about my transfer and he asked me: "Are you happy now?" Of course I admitted I was. Esko Ruotsila was the other Lieutenant who shared the transfer with me, but we soon found out we were not allowed to leave. The posting order never came, and we were wondering why. Then it was found out that our commanders wanted to delay us, they had filed a complaint against the decision of us leaving the squadron. Then Esko Ruotsila called some old Curtiss pilots in Utti and told them: "They do not want to let us go, why don't you do something for us". In Utti they had seen the document that ordered us to be transferred to a defined unit on a defined date (to fly Messerschmitts). They sent a teleprinter message in the name of the Air Force Headquarters to Maj.Bremer, informing that the two officers had been transferred to LeLv34 and the training program will suffer if the pilots are not coming immediately. The Major believed the message and we were given our transfer documents. The rail link to Olonez was working by that time and as we were informed about the transfer, our kits had been packed and ready. We asked for a lorry to take us to the railway station. It was still "rasputitsa", yet we got to Aunuksenkaupunki without problems, the road had been planed. But the daily train had left, maybe a few minutes before. We told the driver to follow the train, maybe we could catch it in the next stop. But the lorry was stuck in mud. We had to return to the base and spent the night there. We made the lorry driver swear that he would pick us at 0500 hrs next morning, then we certainly would catch the train. We did not tell anybody anything. I can remember how I slept on the table of our dugout, was it not hard, and then in the night I woke up as I was itching all over. We had electricity, I switched the light on and saw an unholy number of bed-bugs. And fleas, too. We had some dogs, you see, and there were swarms of dog-fleas. We never noticed them as long as we had our own beds. Anyway the lorry came on time and we were on our way. Next morning we were in Utti railway station and called the squadron for transport, they sent a car. Lunch was served at 1100, and while we ate, an instructor sat next to each of us, showing the Messerschmitt manual about speeds and dimensions. While we were eating they told us that now we are in a hurry and you must be sent in the air as soon as possible. If we were recalled they could say that the training process is in such a stage that it cannot be interrupted any more. That is what happened. As we finished our lunch we went to the airfield at once, each of us was assigned a fighter and we studied the instruments and speeds. After a few random questions we were ordered to take off and we did. 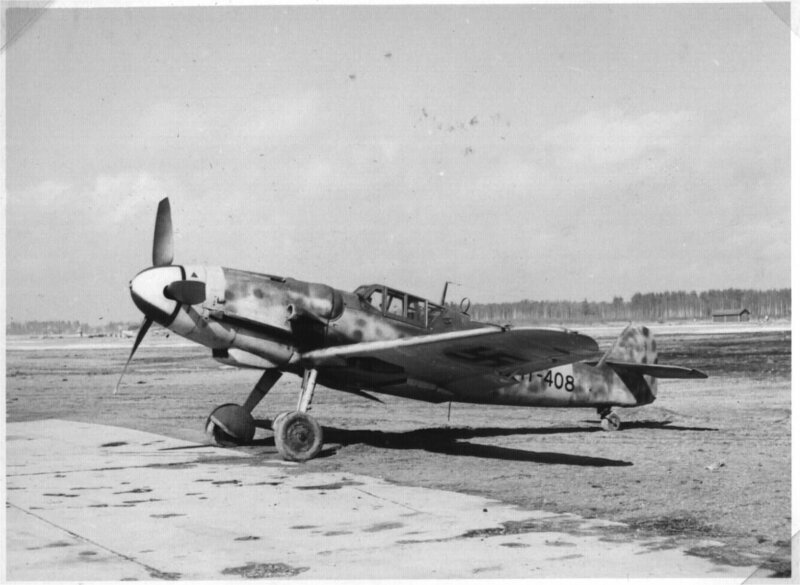 Some people think we got to fly the Messerschmitts in a somehow unfair manner. But I told them that there was nothing unfair in this. We had been transferred, the documents were there, but "B" refused to pass them on. Nothing unfair in the whole matter. No sitten... Olitte Helsingin kentällä Malmilla... Missä te olitte Curtisseilla Aunuksessa? The guardian angel of Nurmoila airfield - Curtiss Hawk 75 "Sussu"
Which bases did you operate from and what sort of accommodation did you find? What was it like to live in an air base in war? Our first base was in Hyvinkää and we were billeted in a manor house with pool table, library room next to it and everything. We were there but a short while, we were transferred to Utti and I was billeted in Räimälä which was a dormitory for unmarried pilots in the days of peace. In Suulajärvi the officers lived in the house and sauna of a Carelian family. The pilots were billeted in a brick factory nearby. Our canteen was there, too. At this time Hanko was being "liberated" and I was posted as an artillery liaison officer, and did not get to fly until the final phases of the operation. There we lost "Pate" Berg, my Flight Leader. He was a very pleasant and paternal man. He was the only one who instructed us in the early days of the war (1941), what to do and when to do it in battle. Another loss was Lt. Alpo Lakio (with CU-567). The AAA got both of them, probably, or then the I-16s. We do not know for sure. You see, I happened to witness how a Curtiss crashed in the sea in vertical dive in the East. I did not see that the pilot would have bailed out. When we took prisoners of war, they told us that a Finnish pilot, a Captain, had been captured. We thought it must have been Berg, he would be repatriated after the war. He was a man of the type to survive. In the Winter War he had flown Gladiators and scored victories. He, too, was hit. The fuel tank of the Gladiator was placed right in front of the pilot, it was hit and the fuel caught fire. The flames scorched his face before he could bail out. 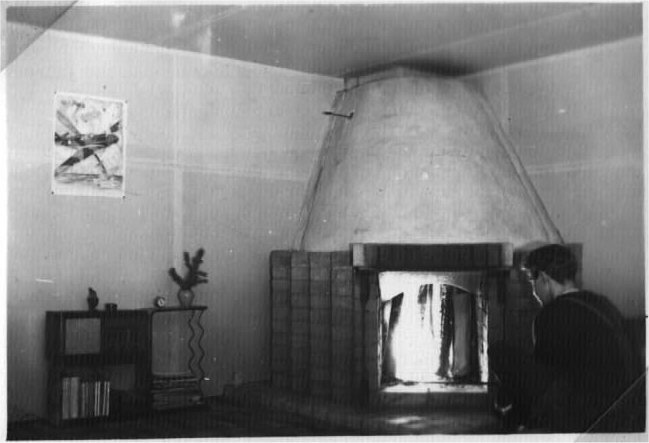 When we were mobilized (in 1941) we were billeted in Nummela, in a spa, or whatever it was. We had fine rooms for two and the best food in the world. 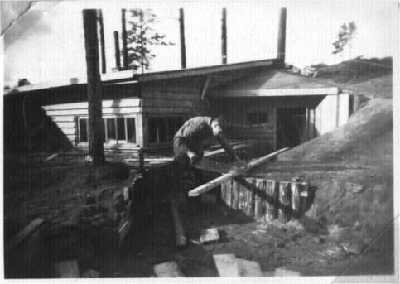 Then we moved on to Nurmoila in Olonez, where we were billeted in dugouts made by Russkies. They were like a hole in the ground, with some soil on the roof structure and remarkably when it was raining, none of it came in. But then it would rain for two weeks inside. We improved them ourselves, and our group had the very finest dugout called "Four tommy cats". We built it ourselves. In the logistics organization of the squadron there was a Sergeant with unmilitary bearing, who was specially "skilled" in being able to supply anything as long as he was paid in booze. He got it and we got bricks of which we fashioned an open fireplace. We got all material we needed for roof and walls, fiber board to cover the walls, floorboards, doors, windows, everything. Where could he possibly find all that material in those days of shortages? Our dugout did look like a villa in functional style, fairly sturdy. Actually it was not a real dugout. The roof was at level with the ground. Barring a direct bomb hit it was a nice place to live. Next to it on the hillside was the cadre officer's dugout "Humulinna" ("Manor of Carefree Ones")with two entrances. It was also fine but not as grand as ours. And were they not annoyed! Yet they did not do any work for it themselves, they had all the labour they needed at their disposal. From Nurmoila I moved to Utti, it was a regular base with decent houses. Initially we were supposed to fly introductory flights with a Fiat and a Morane before the first flight with a Messerschmitt. 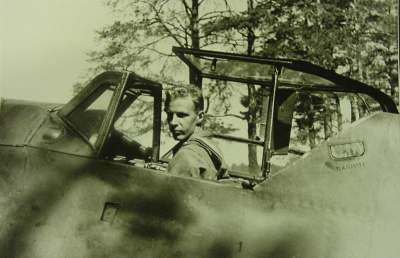 But since we were in a hurry, we were ordered to fly the Messerschmitt right away. I think I had logged 2.20hrs landing and turning training before my first real mission with Messerschmitt. I happened to encounter two LaGG-3 which I shot down. When shooting at the first one, he was so close that my burst missed him below. I adjusted my point of aim to the top of his fuselage and fired again. I hit him right in the fuel tank and he exploded into shreds. The enemy leader saw this, applied full power and headed for the Oranienbaum bridgehead. We were off Seivästö on the Gulf of Finland. He was flying with maximum power just as I did. He kept evading, I pursued him but did not shoot, I had decided to "grill" him a little. As he banked slightly I got a good deflection on him and he exploded on the spot. That 20mm cannon was a good weapon if you only hit your target. Was it easy to hit the target with the weapons of the Messerschmitt? Pokela, his flight leader, was approaching from below at the same target. He saw Tuominen attack and there was no space for him... Tuominen was just back from a furlough and wearing his blue parade uniform. Before takeoff "Poke" had ordered him to put a life vest on: "take this, soon enough we shall find targets". Then they took off as soon as possible. So Oippa swam and then took a sauna bath. His uniform, being of bad wartime quality fabric, shrunk some 20cm. He could not close the buttons neither pull on the trousers. Upon return to the squadron the other pilots laughed: look at yourself, where have you been? He had to hear about the incident Lord knows how long. Oippa did have good explanations! Which abilities and skills does a fighter pilot need in order to be successful? I should say vision is a very important factor. Having a good vision. Mine used to be excellent. With good vision one could anticipate the events, saw what was coming at you and how to prepare for them. Another factor is good physical condition. We all were sportsmen, we did sports, swimming and running, enough to stay fit. And the more you logged flying hours the more self-confidence you built up and was able to control the situation. In the beginning there was this feeling: what should I actually do now... But the success of a novice pilot depended on the qualities of his leader, which attitude he had. If a leader was able to keep an eye on his wingman, upon return he would be able to instruct the wingman what he did right or wrong. That was the way to get wiser! A good leader was able to look at things from the point of view of his wingman. But there were not many who were able to instruct. You had to keep your eyes open and learn from experience. Is a good instructor the best skill? Capt. Pate Berg was one of those who was like a father to us and gave us lectures. They were brief ones, like here you should have done this and that, he would say that you did the wrong thing there, you followed well or that was the right thing to do and so on. It is said of "Illu" Juutilainen that he used to be another instructor in that style. The Warrant Officers and other older pilots had skill because they had fought in the Winter War. They did not tell anything about it even when asked. Professional secrets they had, everyone had to survive on their own. There was no formal instruction (in the squadron). W/O "Pappa" Turkka in LeLv24 was one who used to instruct, but I never served in the same unit with him. Pokela told he was committed with body and soul and helped the young pilots. A similar case was that of the German Hartmann, who happened to get Sr.Staff Sgt. 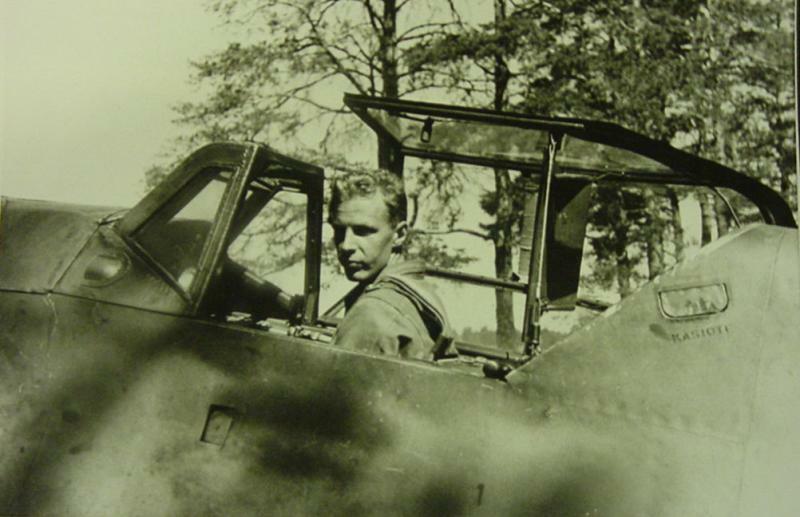 Rosmann as his pair and who took it as his duty to instruct the younger pilot. The selection who got to be a fighter pilot and who "had to" become a bomber pilot was not always consistent. The situation approached a mutiny among the pilots once. Someone seemed to send the men hailing from Helsinki to fighters and so on. Shooting skill is very important for a fighter pilot. About ten percent of fighter pilots were born with the skill of applying deflection when aiming and mentally plotting where the enemy plane is going and where to shoot to hit. The percentage was quite small, but your skill was improved in the course of the time. You found out that when in this situation you apply this much deflection, the enemy shall crash in the forest. You learned to apply more or less deflection according to the circumstances. For me shooting skill was a talent I was born with. I remember when having joined the Civil Guard we went shooting with rifles for the first time. I was given a worn-out old gun. But my first shot was a bulls-eye at a range of 300m. I considered that as something natural, and my following shots did hit near the first one. 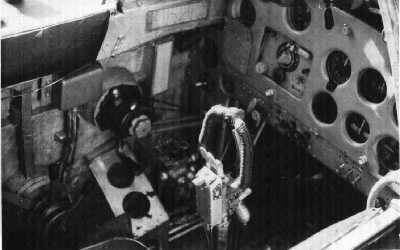 Some pilots never understood the idea of applying deflection, but wondered that they had had a plane in their gunsight and as they fired, each time the burst missed the target from behind. According to an American piece of research the majority of their WWII fighter aces were country boys who had grown up hunting. A shotgun shooter has to take deflection, seldom is the prey coming heads-on or running straight away. Now I have an odd question, but I am posing it anyway: Did your battle experience follow you in your personal life, giving you some skills needed for example in business? Did the experiences make you more resolute? Well, no, because I went on flying, it was an organic continuation... Certainly in civil aviation the Captain of a liner has to make decisions. Did you apply any method in thinking and acting logically in the cockpit? We did do some check lists or equivalents. When I became a civilian pilot I started the use of check lists the type of which were never used in the war. Some pilots may have had a five finger system and another a ten-finger system, but I did not have any. I just had in my mind a sequence of things to do, first this, then that, finally takeoff. All that happened automatically in practice, but you had to keep your wits so that your hands find the right controls and the instrument dials are visible with one glance. You have been shot at, as the story about the hole in the wing tells. Were there any other cases? Yes, there was a case as I downed a Pe-2 in the islands East of Kotk To begin with, the scramble order came as I was in Utti and swimming in Haukkajärvi. The flight on duty returned, probably due to running low in fuel. I mounted my bike and rode from Haukkajärvi to the base. The very first man I saw signaled to me: take your plane and get going, at once. My fighter was still under tarpaulins, I pulled them off, then my mechanic came and I climbed in the cockpit. We got the engine running and I took off. It was then that I turned the radio transceiver on, it consumed so much electricity that we did not turn them on until in the air. Then I learned that one single Pe-2 had confused the entire local air surveillance center, and the enemy was somewhere in the area, place unknown. I passed over Kotka to South and kept a lookout in every direction, but found nothing. I had passed Kotka as I happened to take a look behind, in my rear sector, and below to the left I saw a plane. I headed for its direction and found it was a Pe-2. Being a little higher I dived at it and fired, as far as I remember, in the right engine. Since I had too much speed I had to pull up and thought, this is a simple case, I'll just pull up without any further maneuvers. But the enemy gunner fired at me. I heard nothing indicating that I should have taken a hit, I just returned for another dive. I fired at the left engine and he was going down. He hit the sea 50m from beachline. As I approached Utti and it was time to take out the undercarriage, I pushed the button down and was surprised as it was so slack, what did it mean? Only one undercarriage leg was extended. The indicator lights are green, yellow and red. Red indicates that wheels are in and locked, green out and locked, yellow indicates something in-between. The left leg showed green at once, the right indicator light was yellow. I tried to make it go in locked position with all kind of tricks. Then Oippa Tuominen, I think, shouted in the radio: "cut speed and do something to get some centrifugal force". The wheel moved, but it remained in some intermediate position because the indicator light did not turn on, neither any other lamp. I said that the leg went down but I cannot tell its position. "Right, fly by, we shall take a look". I flew over in a low altitude and I was told the undercarriage seems to be OK. I did my best landing ever. Wind blew from the right and the plane tends to veer to that direction. I hit the left brake but it was all slack. No response, but giving brief bursts of power with the engine I managed to create enough slipstream to keep the plane in straight course. Then I saw I cannot use any more power or I shall hit the tree stumps at the far end of the runway. I cut the ignition and said to myself, here we go. By the by the plane began to veer to the right, at an ever faster rate and then the tail went up, the soil off the runway was soft. The tail went up, then the plane began to tilt to the left, the left wingtip, a 50cm piece hit the ground with a crunch and was bent. The plane was just about to nose over, but not even the prop did contact the ground, and the plane stopped there in the normal position. My mechanic was the first one to arrive. The fire lorry crew had seen the situation, but they came anyway to check. As the firemen had left I told my ground crew, damn you, you forgot to connect some lines as the undercarriage did not work. My mechanic looked a little foolish, then he pointed at the right wing and asked "what is that? "- and it was a hole. The gunner of the Pe-2 had fired at me and cut the hydraulic lines. All the hydraulic fluid from that side had leaked out and the results I had experienced. That was that single bullet hole. With the Curtisses we used to go and taunt Kronstadt. Capt. Paavo Berg had been in the Winter War and he had an itch to go and taunt the Russkies. The Curtiss was equipped with a funnel for the pilot to relieve himself; as long as we were in our side of the front, Berg would command, out with the funnel. Everyone opened their trousers and then on the Russian side there was some yellow rain. It was "a revenge of some sort". We did taunt the Kronstadt, too. We used to approach at 2000m and the enemy AAA used to open fire at its extreme range, we turned back and nothing more remarkable happened. I cannot remember how many times we had done that as I was flying on Berg's right wing and wondered how we could keep going, we were approaching Kronstadt and nothing happened; AAA did not shoot, neither was Berg about to turn back. I thought, if he will not turn back soon I will. Then Berg started to turn to the left - and the enemy opened fire. The first heavy shell burst between me and Berg, it buffeted me upside down toward Kronstadt, almost choking my engine. When I managed to turn the plane on level flight and get her under control with the engine making good revs the rest of us were already heading for home and I found myself almost above Kronstadt. Of course they took aim at me, and I had to fly all sorts of dodging maneuvers. The only direction that I was able to take was toward "Piter" (Leningrad). So I headed for the East and kept doing evasive maneuvers. I watched down, as they fired I banked and as they fired again I returned to the previous direction. Then they left me alone as I got out of their range. I was not yet above the city, but there was the delta of Neva. Then I saw a dot above Piter and it was approaching: it was an aircraft. I kept an eye at it and was waiting what would happen. It kept approaching, and when near me it curved without any haste in front of my nose. I saw it was a MiG-3, I got a good deflection and fired. My first bullets hit the pilot, he collapsed against the edge of the cockpit. The plane went into a spin and I saw he hit the ground on the side of Sestroretsk river. 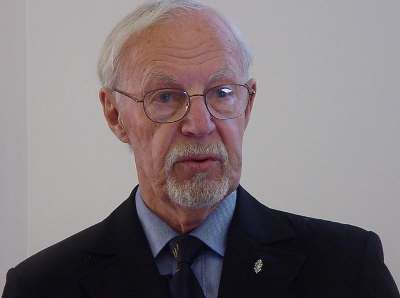 Berg called for the flight to rally at Terijoki. I, too, headed for home after having checked the time. When back in Lappeenranta, where we were based, I reported having shot down a MiG-3 which crashed near Sestroretsk at a certain hour. No one had seen it, but later we received a report from one of our front line observation posts: An aircraft had crashed on no man's land at the same hour. They probably thought it was one of ours. Was the engine of the Curtiss prone to negative G force? No it was not the G but the tremendous pressure of the explosion. I took holes in the fuselage behind the cockpit and the controls did not work, the shell just buffeted me and caused a hitch in the engine. Was it the sort of problem that some Merlin type engines had, where a slight negative G would interrupt the fuel feed? It was not that fast, but the Curtiss had a similar characteristic, when doing a slow horizontal roll the engine coughed when you were upside down, but did not stop. Can you hear the engine of another plane if you are flying next to it? No, since your own engine is closer and its noise drowns that of the other one. But you can feel taking a hit, it is like "clack, clack". The holes then were the holes of the splinters of a heavy AAA shell. Once we were pursuing three Yaks in Olonez. We spotted them as they headed for their base from the front line. We were flying quite low. We followed them, we were three. Alapuro led, Uontila was his wingman and I was alone. Alapuro got to shoot at the leader as it was landing, and got him. The other pair, ahead of him, began to circle around the airfield and I got a good shot at the rearmost plane. It pulled up hard, I saw I had hit him good. I also saw from the corner of my eye that tracers are coming in quantity and a snap was heard. I banked to the right and headed for base. I still remember seeing at the perimeter of the enemy base those old four engined crates, DB-4 or -3, they were incredible ugly aircraft. When flying homewards my engine suddenly started shaking, and I wondered what is the matter. I saw that the fuel pressure was going down. I decreased power to make the engine run smoother. I had to cross the front lines at treetops and I could hear every shot aimed at me. When on our own side I radioed for a permission to land right on, because the fuel pressure was going down. I got the permission and landed. The mechanics found that the fuel pressure controller was unsecured and had started leaking, that was the "hole". So there was that, then the hole shot by the Pe-2, holes by heavy AAA and the 20mm hole in the left wingtip. After the war I learned that the enemy had radar in Lavansaari, it was used to lead them. Tervo had been shot down that day, or the day before. Did you ever get to examine an intact Russian aircraft on ground? 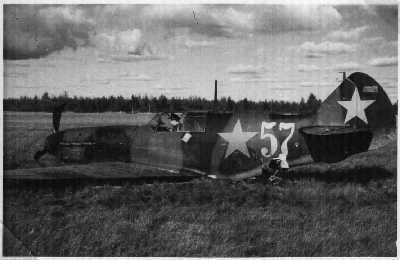 One LaGG-3 made a forced landing near Nurmoila, I cannot remember the reason, and we went to have a look. It was rough. Every external part was very neat but in the cockpit all round parts had been fabricated by sawing, then paint and that was it. This of course proved that they were in a hurry to get planes to the front, and they did get them. The designers of the LaGG-3 very nearly were sent in a prisoner camp because at one phase every second aircraft leaving the production line was not airworthy. They were so skewed. The pilots called them "varnished guaranteed coffins (in Russian "Lakierovannyj Garantierovannyj Grob =LaGG"). The La-5 was another story, with the same airframe, better made with a better engine. 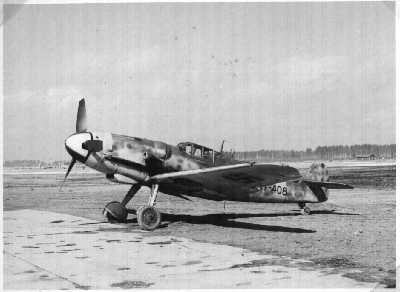 The engine was more powerful and the wing must have been modified, too, because it was far more maneuverable than the LaGG-3. Its wings were so out of shape that it flew unpredictably. 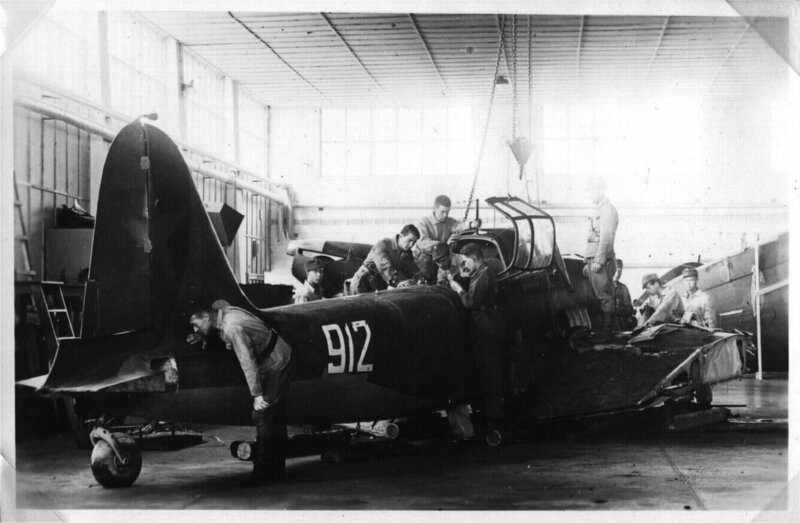 This LaGG-3 was then shipped to Tampere in the Aircraft Factory, and she was returned to our squadron. W/O Koskinen ferried her to us and flew her, once he was ordered against me in a mock dogfight. Koskinen was no match for me, his plane was just faster and a little better in climb. 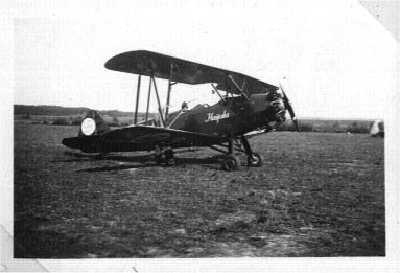 But we must take into account that I had flown quite a lot with the Curtiss and Koskinen had just recently received the LaGG and was still unfamiliar with it. I have a good description of this but the result was the general belief that the LaGG-3 is such a bad plane that it cannot cope against a Curtiss. I also saw the ground attack plane IL-2. One had made a forced landing and it was brought to Utti. I saw the fuselage in a hangar. I also saw Tchaikas, the Finnish Air Force had a number of them in service. I saw the Pe-2, our Air Force bought four from Germany, and then two were destroyed in the enemy air raid against Lappeenranta (in June 1944). What did the production quality of the Il-2 and Pe-2 look like and what quality as aircraft did they possess? 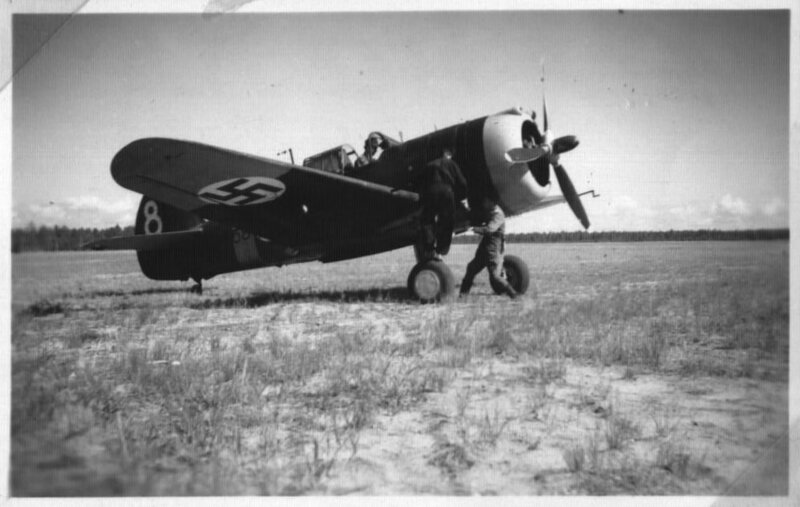 The Pe-2 as far as I know was praised by Finnish pilots as the best recce plane in the world, and I think it is true. She was reputed to be like a fighter in controllability. She was originally designed as a heavy fighter. The Il-2 was a terror to our infantry, because they could not do anything about it, shooting at it was useless. As the IL-2 could fire ahead, to the side and behind, the infantrymen could not understand that at all. You met one Russian pilot who could not believe a schoolboy had shot him down. Did you meet any others during the war or afterwards? Were you present as the Allied Control Commission paid a visit? No, I was in the front until Nov.14 1944. What was your inspiration, the driving force of your life? It was to fly, fly and shoot. I want to tell that in the High School our Finnish teacher was a man in his forties, an officer in the Civil Guard. In every lesson he repeated this: "Boys, remember, attack is the best defence!" It is true and I followed the advice many times, turning against the enemy whatever the odds. They were surprised by seeing a single fighter attacking. It paralysed their reactions. It is a proven fact that in an aerial battle withdrawal is the worst mistake. The general rule that attack is the best defence is valid. It was embedded in our minds to attack, attack, attack, never give up. Only if your weapons did not work, you could not help it and it was time to head for base. Do you have a message or lesson for the younger generations, some words of wisdom ? I want to repeat what General (Adolf) Ehrnrooth said: Finland is a good country to live in, support your country and keep the flag flying. I cannot express it any better, he is a wise man. When the enemy decreased power, I used to throttle back even more. In a high speed the turning radius is wider, using less speed I was able to out-turn him having a shorter turning radius. Then you got the deflection, unless the adversary did not spot me in time and for example banked below me. 250kmh seemed to be the optimal speed. Which was the diving speed that made the pilot think he is not able to recover the plane or the Messerschmitt starts breaking up? The maximum speed not to be exceeded was 750kmh. Once I was flying above Helsinki as I received a report of Russkies in the South. There was a big Cumulus cloud on my way there but I decided to fly right through. I centered the controls and then something extraordinary happened. I must have involuntarily entered into half-roll and dive. The planes had individual handling characteristics; even though I held the turning indicator in the middle, the plane kept going faster and faster, I pulled the stick, yet the plane went into an ever steeper dive. Would it have been better if the pilot had not known that the wing was held by two bolts? No, it was better that one knew they were there. What about the phenomenon called "buffeting" or vibration, was there any? No, I did not encounter it even in the 850kmh speed. How difficult was it to control the 109 in high velocities, 600 kmh and above? The control column was as stiff as it had been fastened with tape, you could not use the ailerons. Yet you could control the plane. 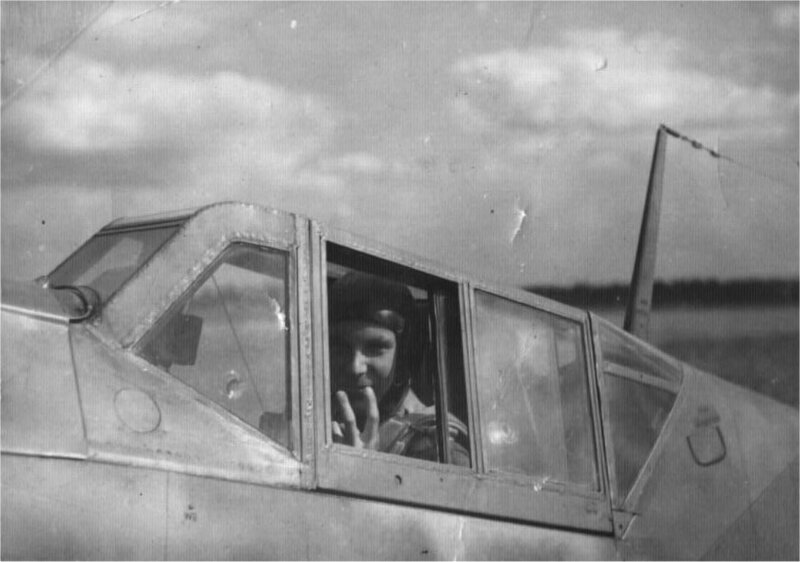 The travel of the control column of the Messerschmitt was fairly short, especially sideways, I think? The cockpit was narrow and then the pilot's legs were on the way, there was not much space for the stick. When the pilot called "Long Jimmy" was flying, he had to keep his legs bent and it was told he held the stick with his arm under his leg. How often did the slats in the leading edge of the wing slam open without warning? They were exteneded always suddenly but not unexpectedly. They did not operate in high speed but in low speed. One could make them go out and in by moving the stick back and forth. When turning one slat functioned ahead of the other one, but that did not affect the steering. In a battle situation one could pull a little more if the slats had come out. They had a positive effect of the slow speed handling characteristics of the Messerschmitt. It is fascinating that these slats were built under licence of the British Handley-Page. Up to the start of the war Germans paid license fees for every Messerschmitt to H-P. Also the oval wing employed in the Spitfire was originally conceived by Heinkel. Heinkel and Supermarine had a lot of co-operation before the war. Heinkel tried to buy a licence for the Merlin engine in Germany. Someone maintains that some Luftwaffe Messerschmitt pilots in the Western front had the slats locked in closed position. In Africa this was also done because the sand dust made the slats jam, also early E versions were prone to slat jam. The 109 included the leading edge slats starting with the very first versions which were powered by Kestrel engines, and it is quite funny that the very first version was equipped with a Rolls-Royce engine. Another question is how the Messerschmitt reacted to hard pull? Did she stall? There is the general opinion that you could not make her stall by pulling but she could "slip". Then we have the standard question: Was the Messerschmitt difficult to land? She was not difficult to land but after touchdown you must not let her curve. In Malmi there was a 10 by 10 m spot where German night fighter pilots broke at least six of their Messerschmitts. After touchdown they had veered to the right and the plane tilted to the left until the wingtip and prop contacted the ground. Yet they had logged thousands of hours with the Messerschmitt. In the night they flew like angels and landed without any veering, but in daytime they could do anything. About the tendency of the Messerschmitt to veer at start and takeoff. This is a mythical subject. Some say it was very difficult, others say that as long as you knew what you were doing it was an easy to control plane. It was not difficult if you had a good instructor who told you what she would do. And you can control her if you only hold the tailwheel on the ground and let her up not until there is enough speed for you to feel the vertical rudder having effect. In Tampere in a meeting of Ilmasilta I met two younger Messerschmitt pilots who had been trained in 1946: one of them had the opinion that there were two styles of takeoff: one veering and one not veering. Some applied full power at once, treading on the right pedal. Others applied power slowly and allowed the thousand hp.s pull the plane up at leisure. "She took off by that method too". You moved the power lever slowly and as you felt that the vertical rudder responds, the tail could be allowed to rise and then she took off on her own. Did you use the 7.9mm machine guns of the G2 model as an aid to aiming and only then fired the cannon? Were the light MGs good for anything ? We used to fire all guns when in good position. The G2 had more ammo for the MGs than for the cannon, so it was worthwile to shoot with every weapon. Our idea was that if the cannon was jammed so the 7mm guns were worthless, then it was time to go home. Many a fighter pilot tells in their memoirs that the rifle caliber MG was almost useless. It could not penetrate the rear armour nor make leaks in the fuel tanks. Well, if you hit a carburator it might be split. It pays to shoot always, you might hit for example the aileron mechanism or some other weak spot. I was flying the Messerschmitt (after the Curtisses), did a horizontal roll and wondered why nothing happened. After landing I asked why the engine did not cough. It was not until then that I was told the engine had fuel injection. This feature was not utilized enough. With a plane like this the pilot can make one external manouver after another, and if pursued by a fighter with carburator fed engine, it is going cough at some phase. What about the Russian planes in this respect? The La-5 was the first one with fuel injected engine. The LaGG-3 had the Klimov engine which is the same as Hispano-Suiz It was equipped with six carburetors, which means six potential faulty spots. The MiG was powered by Mikulin which is a carburetor engine. The first Rae carburetors of the Merlin engine had a design error that made it a failure. It did not stop fuel supply but flowed over. One female engineer then found that a small hole in the carburator prevented the overflow. How did the Messerschmitt and Curtiss react to rapid power setting change, was there any difference in reaction? I seem to remember that the Messerschmitt reacted faster, having fuel injection. The Messerschmitt engine control has been praised in general and not in vain. What about the boost pressure, it could be adjusted to above the allowed level even by accident? Yes, there was no limiter and in different altitudes the boost pressure is different. The Messerschmitt supercharger was powered over a liquid clutch which maintained even boost pressure. If the airscrew governor breaks down, then the too high speed of rotation causes increase in boost pressure. Then the engine is very soon worn out. How did a Curtiss pilot know the correct boost pressure for each speed, could he hear it or did he check an instrument? There was a dial for that reading. Did the pilot pay a lot of attention for the engine to spare it, or to adjust it in absence of automatic system? It was important because the planes were single-engined. Having flown twins in Finnair I no more wanted to fly a single, no way. So none of the planes of that period was a paragon of reliability? I preferred the Curtiss, the Messerschmitt had been subject to sabotage fairly often (during production). All kinds of things happened, some cockpit canopies were spontaneously ejected and undercarriage did not work. I am not fully convinced about sabotage but there were signs of general haste and slip-shod work. We found clear proof about sabotage. Czech forced labourers assigned to fighter production did all they could. Here is an interesting letter from Switzerland. The Swiss did produce Messerschmitts under licence and managed to bargain about 15 G-6s during the war. In reward they burned down a radar equipped Bf110 that had made a forced landing in Switzerland so completely that nothing was left that could have revealed any secrets. The Swiss lost each of them in accidents due to engine problems. One reason could be freezing. Probably not, they experienced breakages of supercharger power shaft and other catastrophal motor breakages. The Swiss had carefully investigated and documented each case. Obviously there was something in this manner. One interesting detail is that the government of the Federal Republic of Germany had to pay indemnities after the war to Switzerland for selling sabotaged and sub-standard aircraft during the war. The Swiss had production licence for the E model and even for the D-B 601 engine, but they did not get licence for the G model because it was not sold. E model was obsolete then. The "Emil" was considered to be the best model by the pilots because it was lighter and consequently better in a turning battle. Others on the other hand swore by the "Franz" which was almost as light but faster. The difference with the G2 was probably quite small. The differences between the G2 and G6 were small. It was the armament, just nothing else. The engine was the same. The G6 had better armament and the undercarriage was stronger and wheels wider, else the difference with G2 was small. The larger wheels resulted in bulges on the top of the wing. The G2 also had the wing bulges due to wheels. They extended half the wheel width from the wing surface. Did those bulges affect flying characteristics? The bulges on the nose had a bigger effect on air resistance, they were quite large and no way beautiful. There were bulges in the wings of the previous models before the G6 was introduced. The K model was fitted with a bigger two-stage supercharger and resulted in more bulges on the nose. The A3 engine was fitted with the supercharger of the DB603 bomber engine. It gave low power in low altitudes but very big in high altitude. by: Jukka O. Kauppinen "Grendel", Pentti "Buffalo" Kurkinen, Timo "Kossu" Niiranen and Janne "Netfly" Kallela.